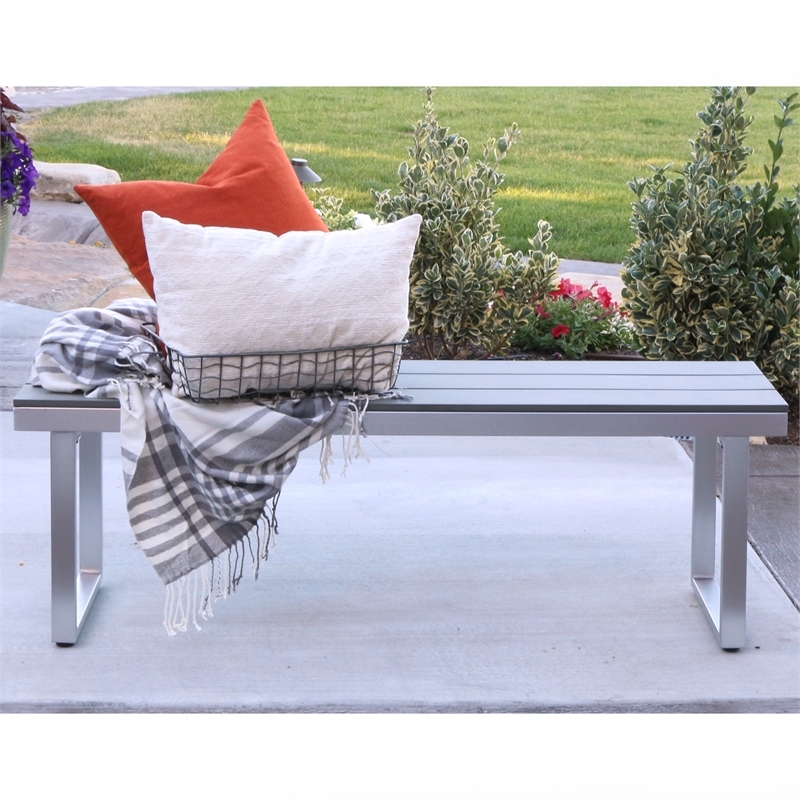 Provide additional seating on your deck, patio or garden with this All-Weather outdoor bench. The cast aluminum frame with a powder coated finish delivers a durable base accented with poly synthetic wood slats for a long lasting design. Pair it with our matching table and chairs for a complete patio set.